LASER FIBER OPTIC SOURCE IPG 500W - Available 700w. 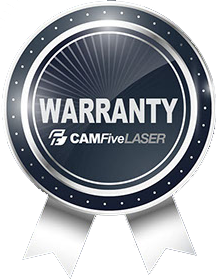 CAMFIVE LASER FC84 FIBER METAL CUTTER EQUIPPED WITH IPG 500W SOURCE AND 8 X 4' FULL SHEET CAPACITY worktable. 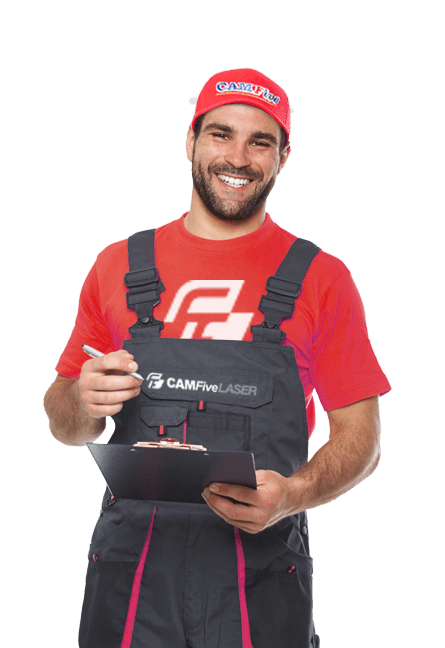 Our CAMFive Laser IPG Source Metal Cutter Model FC84 is the fastest and cleanest way to cut metals like steel (stainless, mild, galvanized, mirror) Copper, brass, aluminum and more, some of them up to 1/2" or 12 mm thick. It offers a stable and precise drive system with a German ball Screw displacement axle, fast Japanese Yaskawa servo driving motors and dynamic auto-focus. LASER SOURCE: IPG Brand 500w Fiber Laser Source - Available 700w. Laser Power IPG 500W (Available Upgrade to IPG 700w). Machine Dimensions 81” Length x 134” Width x 54” Height. Graphics Format Supported CAD, DFX and others.